When Naughty met Nice they created this Black Onyx Cake that is sweet and chocolaty with bits of bitter dark folded into the batter. 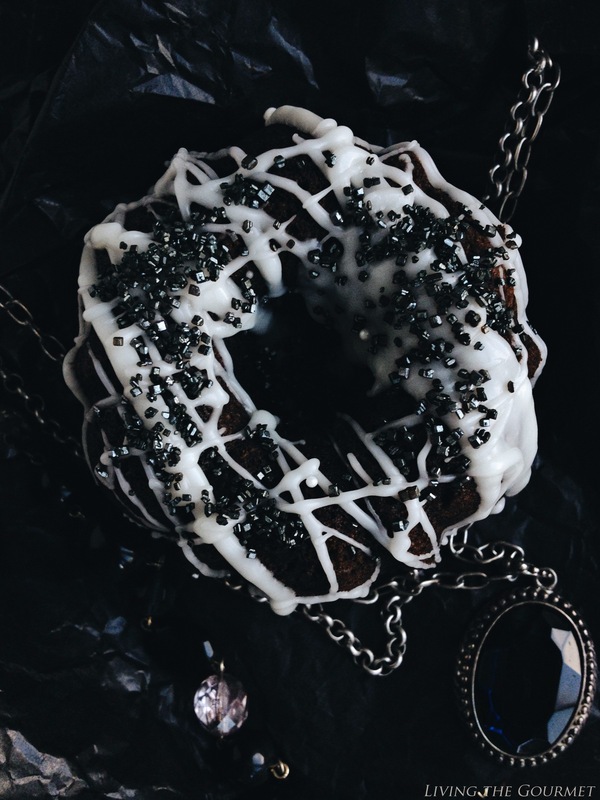 For an ultra dramatic effect, I drizzled each bundt in white chocoalte and a sea of black and silver sprinkles. So go ahead and give in to the dark side. Our #BundtBakers hostess, Terri from Love and Confections, chose sprinkles as the theme of the month. My initial reaction was to go full out funfetti, but after sleeping on it, I decided to go the complete opposite. I wanted something dramatic, elegant and totally unexpected. I love funfetti just as much as the next person but for this month’s theme I wanted to revamp the general reputation sprinkles have and show that sometimes, it doesn’t always have to scream pink. The cake itself was inspired by these cupcakes. I rarely break down and use cake mix, but when the temperatures reach 90 degrees and you have to turn on the oven, you go for the easiest, quickest method. I started with dark chocolate cake mix then added seltzer and chopped extra dark chocolate. That’s it. Once cooled I prepared a white chocolate drizzle then sprinkled to my heart’s delight with these beautiful black and silver sparklers. It is a very simple and delightfully moist dessert that I hope you make soon. Scroll down below for more sprinkled cake ideas and inspiration! Preheat oven to 350 degrees F. Grease three mini bundt molds and set aside. In a large bowl whisk cake mix and seltzer until a smooth batter forms. Fold in chopped chocolate. 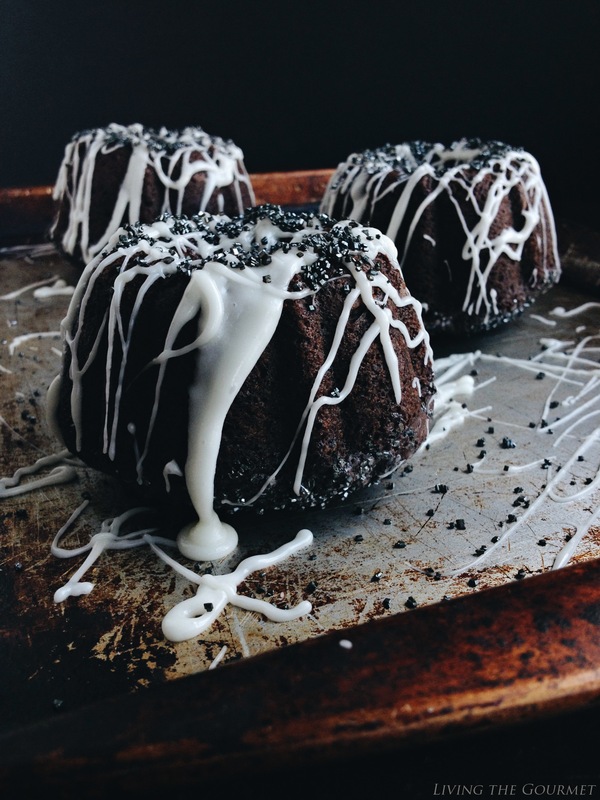 Divide the batter between the bundt molds and sprinkle with black and silver sprinkles. Bake for 12-15 minutes until cake tester comes out clean. Let cool before removing form the cake pan. Turn out onto a cake plate. Melt down white chocolate melting candies and drizzle liberally with white chocolate and sprinkle with more black and silver sprinkles. Let the chocolate drizzle set before serving. I used the convection setting on my oven for this recipe. Adjust the cook time to your oven. On convection at 350 degrees F. these cakes were done in about 12-15 minutes for me. Love these cakes. The color is so dramatic - would be perfect for Halloween too! Thanks for being a part of my sprinkles celebration! I thinks it is so beautiful and elegant, great job! Awesome. And so great for Halloween. Catherine, this is a work of art- Seriously, I could eat my screen and the styling is so moody! Oh my gosh, this looks like heaven, it's gorgeous and looks so rich! You had me with chocolate. This is one dramatic, elegant cake, Catherine! 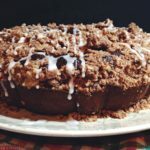 It looks so chocolatey and decadent -- being a huge chocolate lover, I know I would love this! 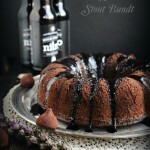 What a stunning bundt, kudos to you!! Such an amazing looking cake. Catherine, this bundt looks stunning. I love your creativity and those black sprinkles. 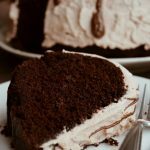 I never would have even thought of adding seltzer to a cake mix - I can imagine the texture of this cake to be light and addicting. 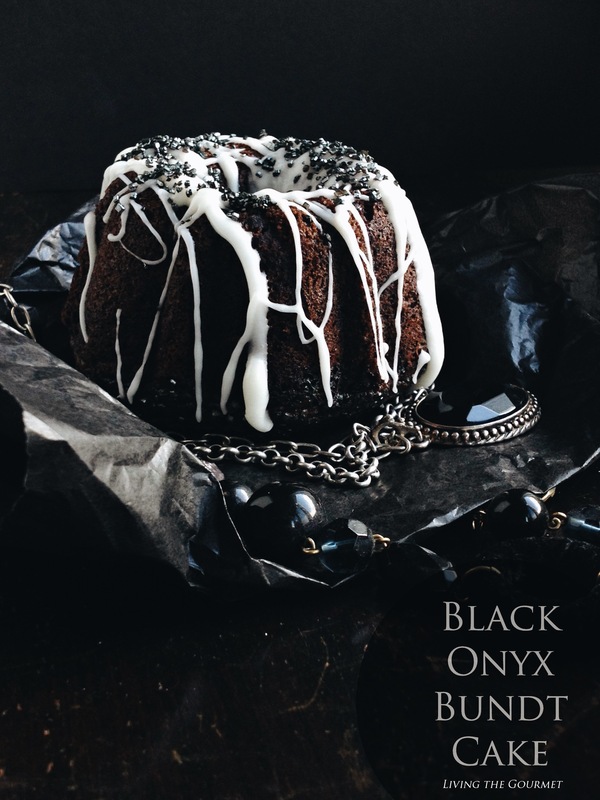 Your black cake is absolutely stunning. I'll try this again, it flipped out the first time. Naughty met nice did it perfectly, Tammy! The mini bundt cakes have to be delicious! I love the sprinkles and need to find them and the mini molds too. Thanks for the recipe! The cake looks spectacular! And I love those sprinkles. Love the drama and shine of this black beauty! Catherine, This cake is amazing. I am going try it out myself. Dark chocolate is my favorite. Simply stunning! What beautiful "sprinkles" to add to this gorgeous cake. Wow. . .this cake is quite the stunner. I love the dramatic contrast between the rich chocolatey hue and the heavenly white drizzle. And wherever did you find black sprinkles? They are gorgeous. I'm all about using a cake mix to make life a little easier. 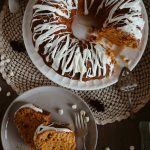 Love your bundt creation! wow I am so impressed by this, such a creative and amazing presentation. Pinning! Love the black and white contrast. Definitely dramatic! 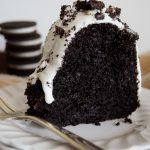 The cake sounds easy and delicious and the photo is AMAZING. This is art of work, just beautiful, Catherine! What a gorgeous cake! 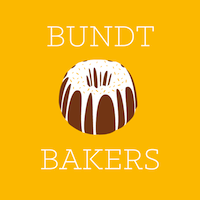 I love the bundt baker group, I just followed your pinterest board! My goodness! Those pictures make me want to reach in and grab a bite! Gorgeous recipe, friend! These are the most beautifully stunning cakes I have EVER seen!! So elegant in black. Need to white tie and tails for this one! 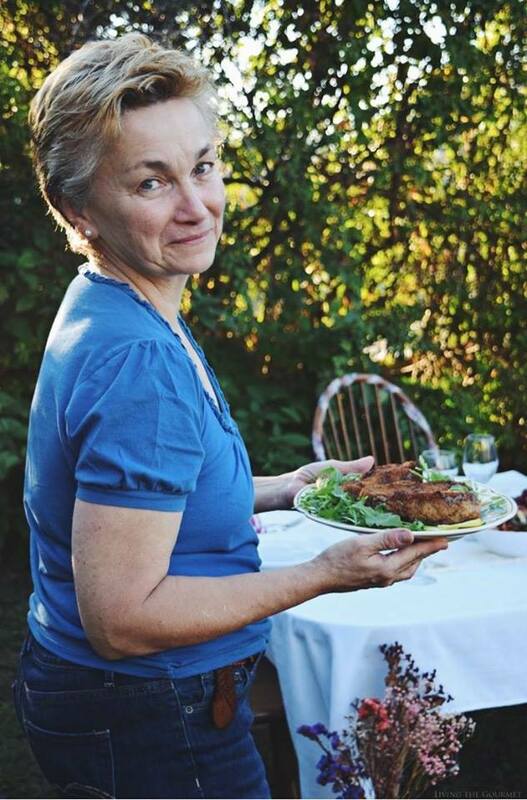 What a beautiful cake, Catherine! It looks so decadent and delicious! Wow, this is stunning, Catherine! Just letting you know I will be featuring your cake tomorrow night on Best of the Weekend! Hope you will come and link up again! Wow, what a stunning cake! And the name is simply perfect. 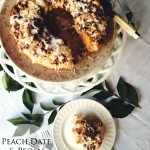 Thank you for sharing this incredible recipe with Roses of Inspiration.